After four weeks of games, the regular season of the San Pedro Sports Committee 9-A-Side Football Tournament came to an end this past weekend at the Ambergris Stadium in San Pedro Town. The first set of matches were played on Thursday, May 10th, with San Pedro Pirates versus San Mateo F.C. The game ended in a 2-2 draw, but having collected the most points during the regular season, the San Pedro Pirates claimed the U-13 championship title. In the U-15, Los Catrachitos won 1-0 over San Mateo F.C. The last game of the night was in the female category, and Island Strikers #1 defeated San Pedro High School (SPHS) girls 1-0. 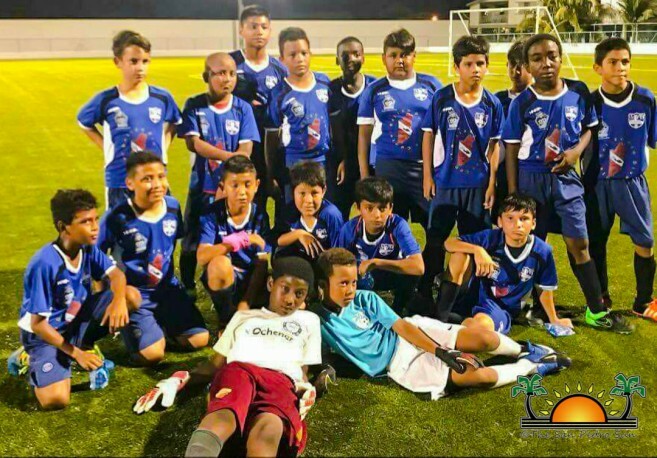 The tournament continued on Friday, May 11th, with Atletico Madrid dominating 3-2 over Terror Squad in the U-15 category. The final match of the regular season featured Island Warriors #2 and Ambergris Combined Force, which ended in a 0-0 draw. 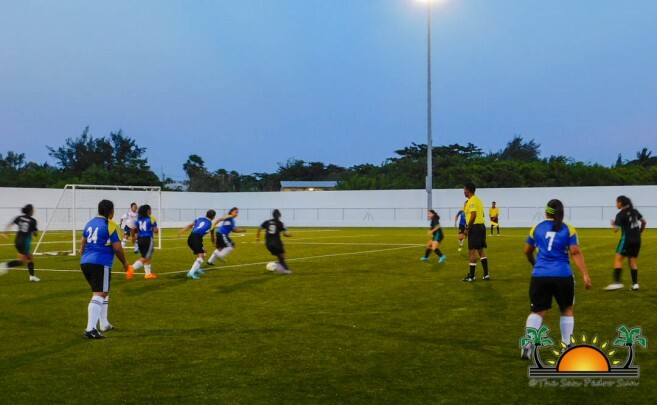 The first round of the semifinals for the U-15 and female category will begin this weekend, starting on Friday, May 18th at 7PM with the U-15 games. The first game will feature San Mateo F.C versus Los Catrachitos, followed by Larubeya F.C taking on Atletico Madrid at 8PM. The next match will see Island Warriors #2 going against Ambergris Combined Force in the female category. The last match of the day will also be in the female category, with Island Warriors #1 Versus SPHS girls. 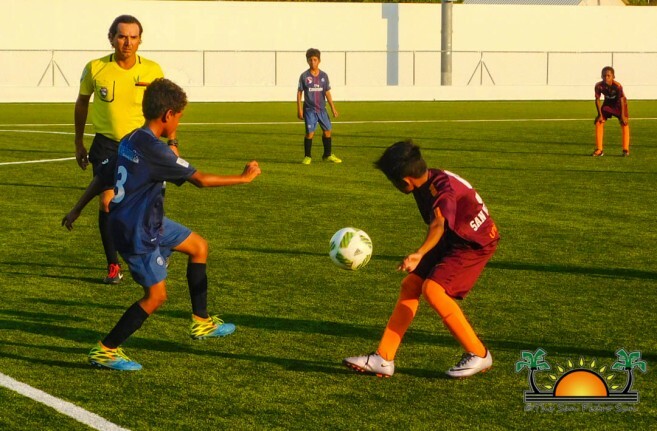 The second round of semifinals will be played on Sunday, May 20th, starting at 5PM with Atletico Madrid going against Larubeya F.C in the U-15 category, followed by SPHS girls versus Island Warriors #1 in the female category. The next match will feature Los Catrachitos taking on San Mateo F.C in the U-15 category. The last match of the weekend will be between Island Warriors #2 and Ambergris Combined Force in the female category. All islanders are invited to come out to the Ambergris Stadium in San Pedro Town to support their favorite team during the semifinals. Food and drinks will be on sale during all games.